We make each day of the year very special by bringing together the latest printing techniques with accessible design and cost efficiency. Our printing experts make sure that the calendars have attractive designs and graphics to make them eye-catching. Out team have rich experience which allows them to design the calendar as per the newest trends of the market and client's choice. 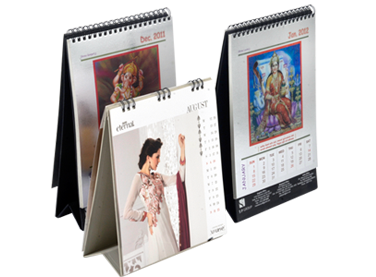 We use different type of binding accessories in calendar printings.